We're NOT just another designated driver service. 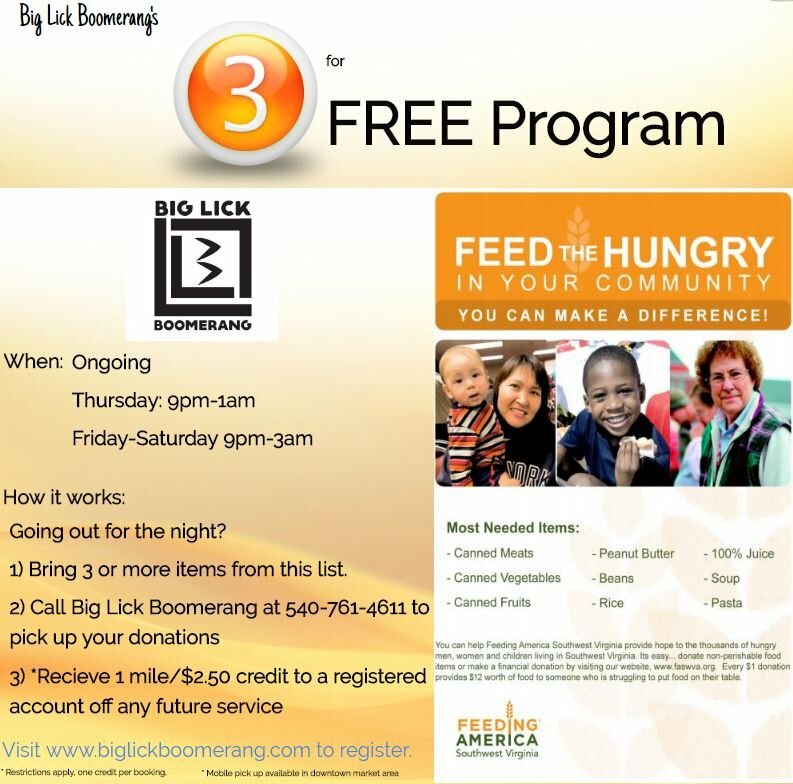 At Big Lick Boomerang we firmily believe in helping those in our community in all that we do. We ask that you help us in doing your part to make sure your fellow neighbor is just a little better of than they were before you crossed paths with them. Keeping in line with these values we have been working behind the scenes with local charities, organizations and businesses to help make a difference in our community. 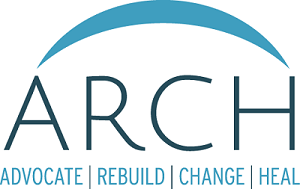 Big Lick Boomerang is proud to share that we are official partner's in support of the efforts of ARCH. $1 of each designated driver service call has been and will continue to be donated to help those in our very own community. We would especially like to thank those of you who have used our service for helping us in our effort to give back to our community. Your support means more to us than you could know and to your fellow neighbor. 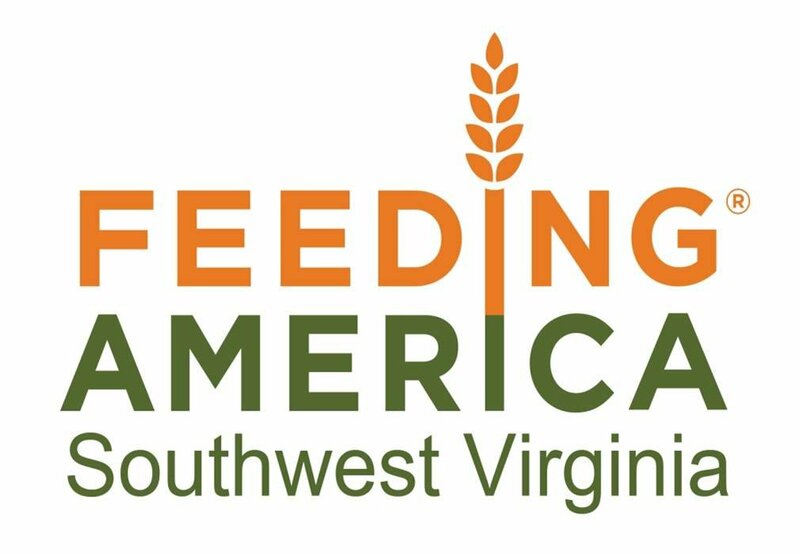 We ae proud to announce our partnership to help the efforts of Feeding America South West Virginia. 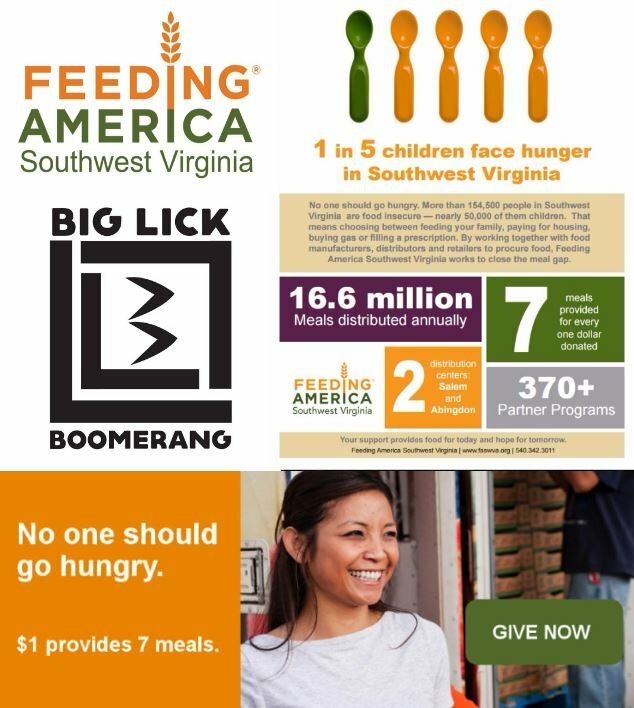 We ask that you help us by donating or contributing to our after-hours mobile food drive.